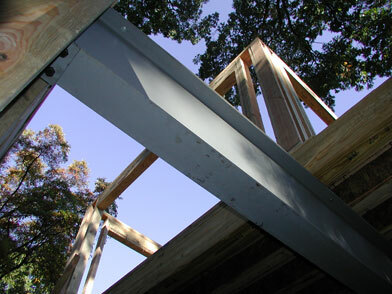 Our Architecture: Scott F. Lurie, Architect seeks solutions that specifically suit the needs of our clients. We have no stylistic agenda. While our architectural fingerprint will naturally present itself, our firm creates features and qualities that embrace the mood or style the client is seeking to capture. That is the challenge; to properly incorporate the client’s desires within a framework of appropriate and engaging architecture. Each project is treated unique unto itself. Planning is site specific and considerate of the surroundings. Each project is explored for their particular properties and opportunities for distinctive expression. Each is designed with integral elements and aspects that are meant to enliven responses to space, light, shadow, proportion and materials, from the planned environment within, to the envelope that shelters it. Why Select Us: Commercial work pilots Scott F. Lurie Architect to work from coast to coast including Hawaii, providing specialized services for an assortment of commercial entities. To date, Scott Lurie is licensed in 40 States. Proudly, we have become the recommended architectural firm of various franchise companies. See our portfolio for some of the clients served. We welcome the prospect of providing our special blend of imagination and know-how, which is key to our firm’s selection as architect to more than 1800 projects. To residential clients, we provide the very personal attention a new home or addition requires, assuring the homeowner a wonderful place to live. Our work dots the landscape of many communities. Scott Lurie continues to pursue this specialty with the same passion he has for the past three decades.